Filtered by frigid Pacific waters and forged through adversity, the Navy SEAL’s are notorious for their feats of superhuman performance and succeeding at all costs. The uninitiated describe them as “Winners,” but labels like these obscure reality by covering up the muddy, battered, bruised truth about these men. Navy SEALs are born to lose, that’s what makes them unstoppable. 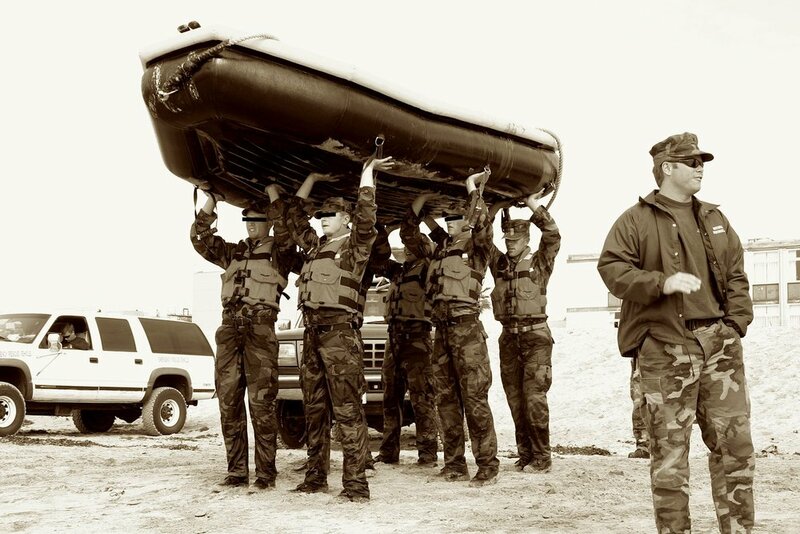 It’s often said, (and I agree) that SEAL training is 90% mental and 10% physical, but few understand the operating principles that make this true. We’ve become a society of comfort and conceit. We pass out awards for everything and wrap our kids in warm, buttery blankets in an attempt to protect them from the frosty waters of failure. SEAL training is 90% mental because we have to test and teach these men the discourse of failure, and the only way to produce failure is through adversity. The ones who don’t make it? They never learned how to fail. They never got used to the water. Too often we try to “overcome” adversity by trying to go over it. Consider adversity as an obstacle course. If you went over or around it, you would never gain the skills or strength the course was designed to deliver. We see this a lot with parents, constantly holding their kids up with strings. They never allow them to go through anything which may result in failure. This means they never produce any immunity to adversity, leaving them weak and defenseless. Like a sick child, they remain dependent on their parents care forever. Patience, Perseverance and those Damn Stairs! Crawling through adversity isn’t always pretty. Sometimes we get stuck and things become extremely painful. This is a good thing. Getting stuck teaches patience and perseverance. Patience demands that one endures pain or provocation without complaint. Because it’s our human nature to desire and value the uncommon, patience truly becomes a virtue. Those who endure are able to produce or reach the things that others cannot; a rare feat that yields the uncommon results which others value. Most people fail in life because they can’t “stick” with anything. Diets, exercise, business ventures, training… you name it. You see them going back and forth from one idea to another, always grumbling in an ongoing state of low-grade panic. They never stay the course. They never persevere. Perseverance is about holding on through thick and thin, and most importantly, not quitting on what I call “The steps to the gates of achievement.” The last set of stairs which are unexpected, very steep, littered with bodies and abandoned dreams, stop all but few. I have a love-hate relationship with these steps. I love them because they tell me I’m almost there. I hate them because no matter what I do, no matter how much I prepare and plan, they seem to stretch themselves just beyond what I thought I had left in me. Most people's adversity “muscle” is so atrophied that they are unable to overcome “Not feeling like doing something”, the weakest and most common manifestation of adversity. Overcoming adversity works much the same as a muscle. Have you ever allowed yourself to get out of shape? When we’re not fit, simple things like climbing the stairs or running 5 miles in the hills can wear us out. Adversity is no different. If your “adversity muscles” are out of shape, even the simplest of things like starting a workout regime will squeeze you to the point of abandonment. Many of us have been there. Many of us are there right now and have no idea that there is a solution outside of the bankrupt notion of motivation, or the terminal diagnosis of having a lack of discipline. Now that you know adversity is like a muscle, you can rehabilitate and strengthen it. You can build this muscle so strong that the things you could never bring yourself to do can become your favorite activities. Stand by for part II of this paper, where we’ll discuss all of the ways to build the adversity muscle; build it to the point that the things we can’t bear now, don’t even register as a “Hiccup” for us in the future. Like, if you can run a marathon, ten mile runs become effortless and enjoyable outings. 1) What is something you do regularly without care or effort that used to stop you in your tracks? 2) Name something that is stopping you from taking action because you just don’t “Feel like doing it”.